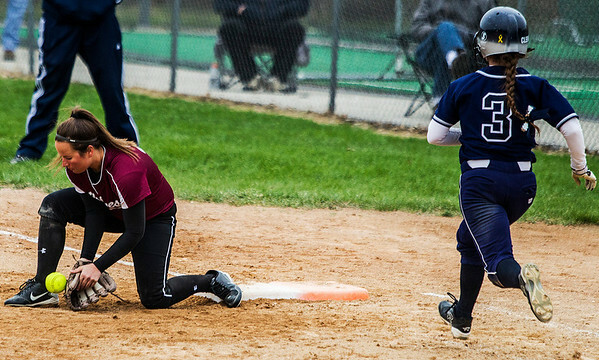 Kyle Grillot - kgrillot@shawmedia.com Cary-Grove sophomore Brianne Prank (left) forces Prairie Ridge junior Sarah Rohloff out at first base during the sixth inning of the girls softball game Wednesday in Cary. Cary-Grove beat Prairie Grove, 10-8. 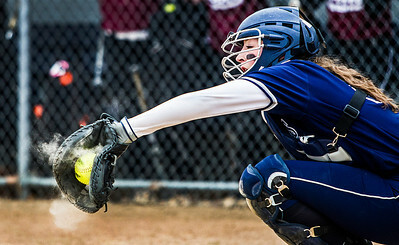 Kyle Grillot - kgrillot@shawmedia.com Cary-Grove junior Grace Pilz catches a pitch during the fourth inning of the the girls softball game Wednesday in Cary. Cary-Grove beat Prairie Grove, 10-8. 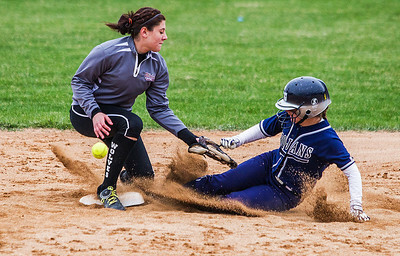 Kyle Grillot - kgrillot@shawmedia.com Prairie Ridge junior Sammi Chapnick drops the ball at second base as Cary-Grove senior Amy Clemment slides safely during the fifth inning of the girls softball game Wednesday in Cary. Cary-Grove beat Prairie Grove, 10-8. 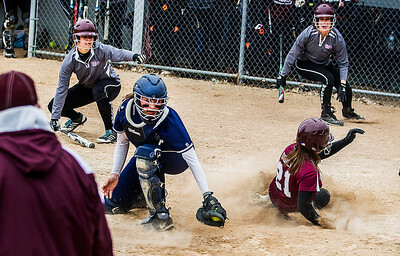 Kyle Grillot - kgrillot@shawmedia.com Cary-Grove junior Grace Pilz (bottom-left) unsuccessfully tags Prairie Ridge senior Kate Didier during the fourth inning of the the girls softball game Wednesday in Cary. Cary-Grove beat Prairie Grove, 10-8. 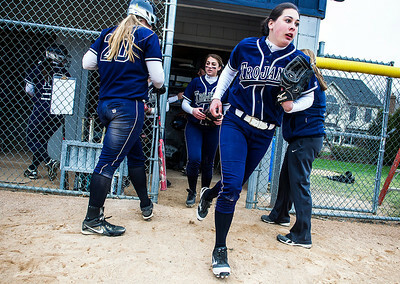 Kyle Grillot - kgrillot@shawmedia.com Cary-Grove juniors Caitlyn Adams (center) and Sarah Purpura (right) exit the dugout after batting in the fifth inning of the the girls softball game Wednesday in Cary. Cary-Grove beat Prairie Grove, 10-8. Kyle Grillot - kgrillot@shawmedia.com Prairie Ridge freshman Hailey Baker pitches against Cary-Grove during the second inning of the girls softball game Wednesday in Cary. Cary-Grove beat Prairie Grove, 10-8. 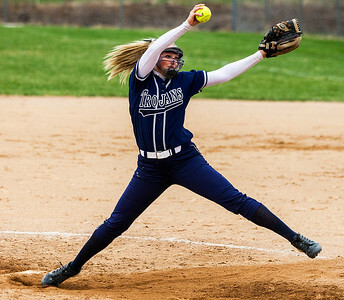 Kyle Grillot - kgrillot@shawmedia.com Cary-Grove junior Amanda Degroote pitches against Prairie Ridge during the seventh inning of the girls softball game Wednesday in Cary. Cary-Grove beat Prairie Grove, 10-8. 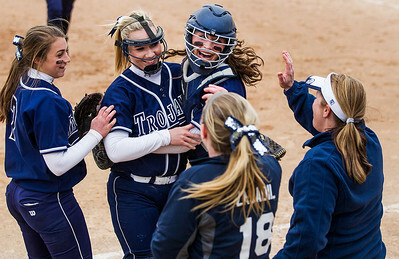 Kyle Grillot - kgrillot@shawmedia.com Cary-Grove juniors Amanda Degroote and Grace Pilz (center) are greeted by junior Caitlyn Adams (7), Caroline Zasadil (18), and head coach Tammy Olson after the final pitch of the girls softball game Wednesday in Cary. Cary-Grove beat Prairie Grove, 10-8. 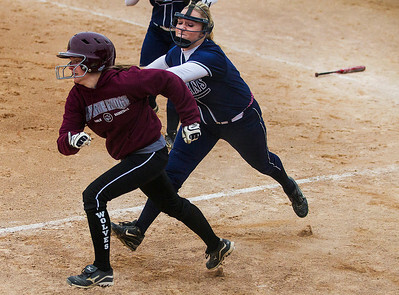 Kyle Grillot - kgrillot@shawmedia.com Cary-Grove junior Amanda Degroote (right) catches Prairie Ridge junior Erin Wing in a rundown during the seventh inning of the girls softball game Wednesday in Cary. Cary-Grove beat Prairie Grove, 10-8. 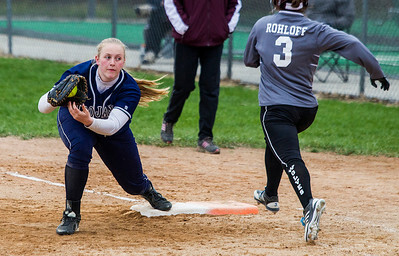 Kyle Grillot - kgrillot@shawmedia.com Prairie Ridge junior Kate Didier (left) drops the ball at first base as Cary-Grove senior Amy Clemment runs safely during the fifth inning of the girls softball game Wednesday in Cary. Cary-Grove beat Prairie Grove, 10-8. 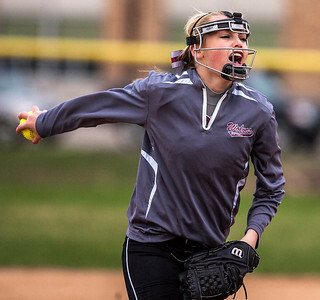 Kyle Grillot - kgrillot@shawmedia.com Cary-Grove senior Lauren Stanley pitches against Prairie Ridge during the fourth inning of the girls softball game Wednesday in Cary. Cary-Grove beat Prairie Grove, 10-8. 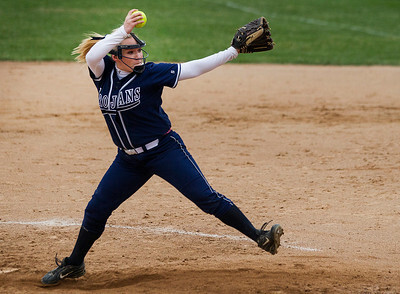 Cary-Grove junior Amanda Degroote pitches against Prairie Ridge during the seventh inning of the girls softball game Wednesday in Cary. Cary-Grove beat Prairie Grove, 10-8.